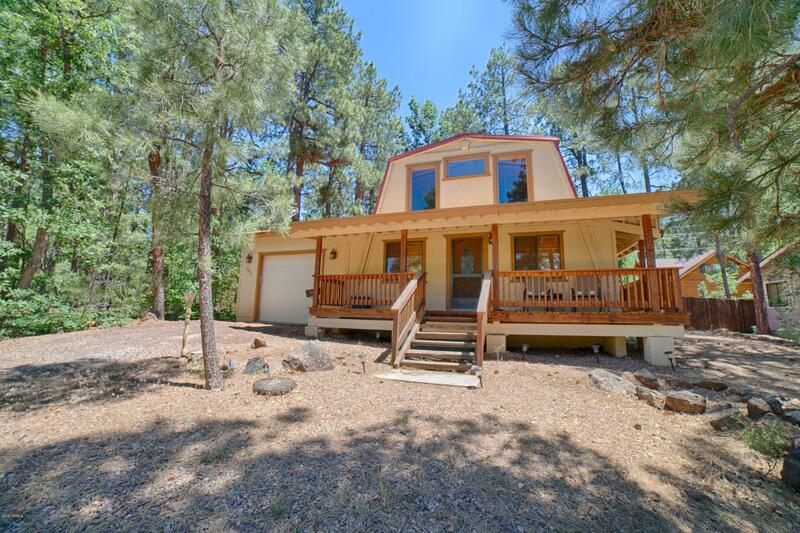 Charming and unique chalet cabin in the highly desired Pinetop Lakes Country Club w/ rec. center privileges. Don't miss this 3 bed/2 bath home w/ the master upstairs w/ a large walk in closet, master bath AND a private deck. The home has a new privacy fence w/ a side deck for entertaining. New finishing touches throughout. New gas furnace, duct work & thermostat. Installed natural gas manifold & gas line to furnace. Future ports for range, water heater, dryer, log lighter & BBQ. Remodeled master bathroom. New ceiling fans, light fixtures. New refrigerator. Newly installed breakfast bar. The one car garage is finished & extra deep. Rec center has swimming pool, hot tubs, workout facility/weight room, pickle ball, Volley ball, Tennis, shuffle board TONS of activities & more. FURNITURE avail.